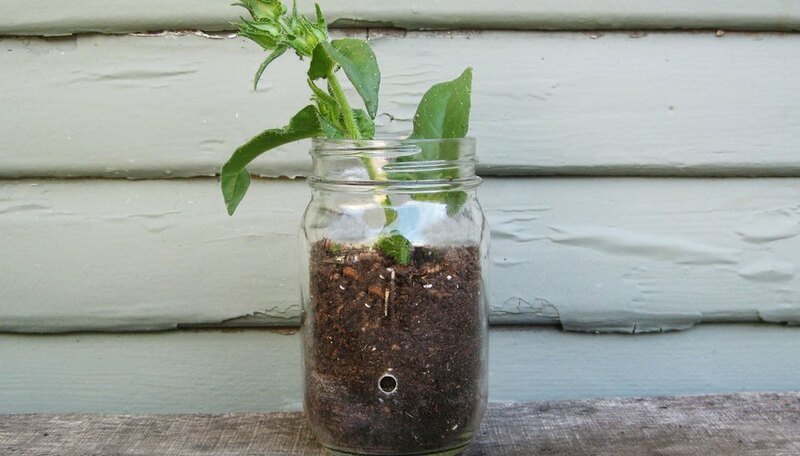 Old empty glass bottles can serve several different purposes. Glass bottles come in pretty colors or shapes that can turn into decorative objects of different types. 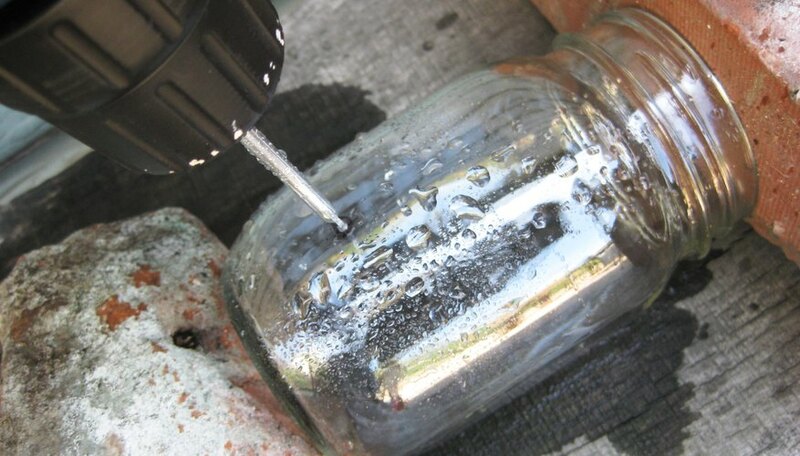 One way to increase the usefulness of a glass bottle is to drill a hole through the bottle either on the bottom or on one of the sides. 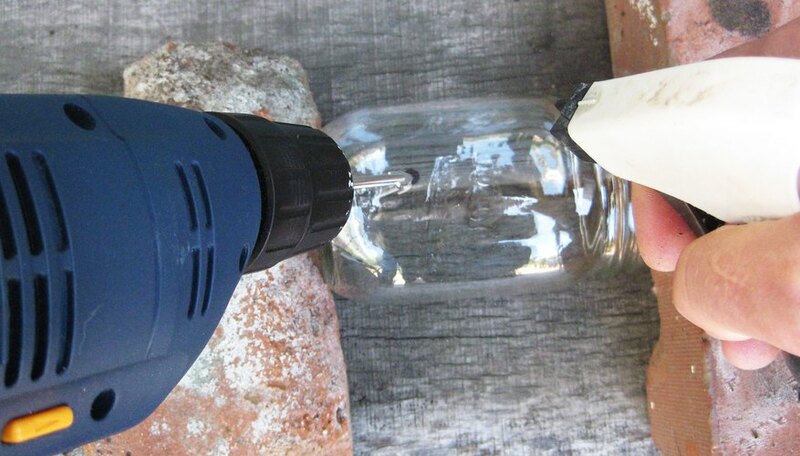 Adding holes to glass bottles can increase the amount of projects that can be made with the bottle, and it makes it possible to string the bottles on a rope. Outline the size of the hole that you want to cut with a permanent marker. Allow the marker to dry before cutting or you can smear the marker. Put on safety gear. Wear safety goggles, long sleeves and rubber gloves. 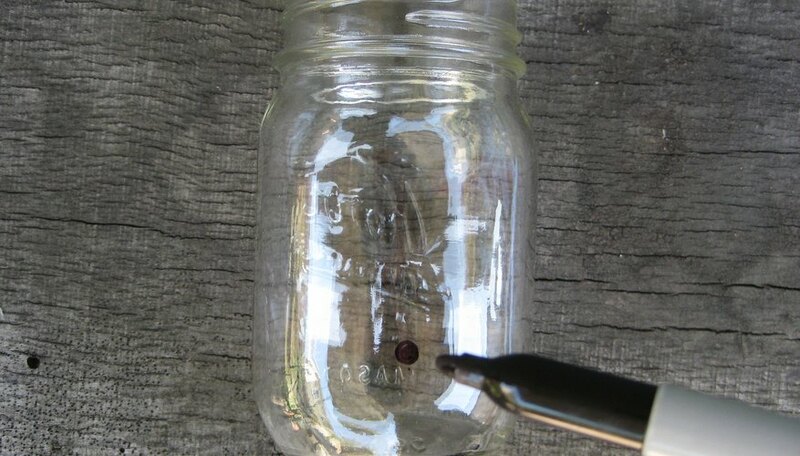 The glass can shoot off splinters as you drill, and sometimes the bottles break. Fit the diamond bit inside the drill. Drill through the marked area slowly. Use the pressure of the drill itself and do not push down on the drill. If you try to drill too quickly, the bottle can shatter. 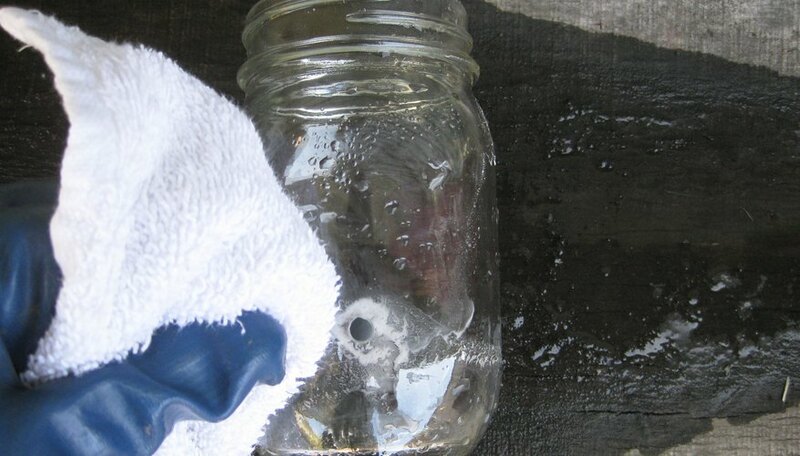 Squirt the surface of the glass with clear water every few seconds while drilling. The water helps prevent the glass from splintering as badly. Wipe away any splinters of glass with a soft cloth once you have drilled the hole all the way through. Sand the inside hole of the glass with silicon carbide sandpaper if possible. Do not rush the sanding job or you can break the bottle. Sand the edges of the hole until the bottle is smooth. Take care when drilling glass. Glass splinters can cause serious damage to eyes, skin and the mouth. 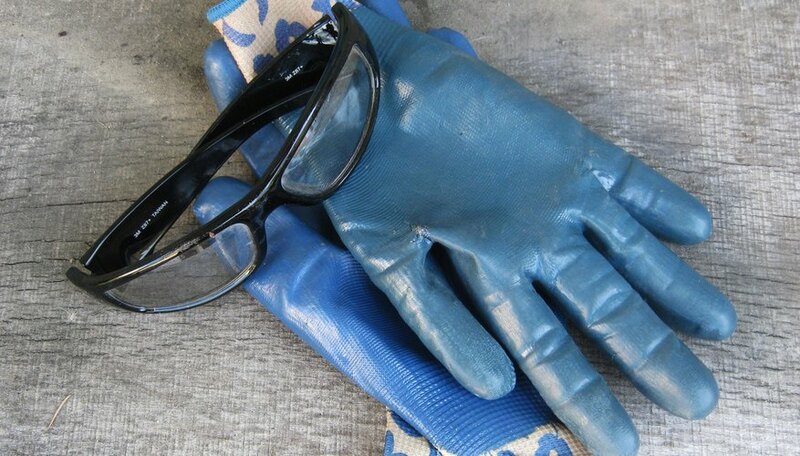 Always wear the appropriate safety gear when working with glass.